We are looking for striking images of nature on land, in the air and beneath the water’s surface from anywhere in the world. These images may show animal behavior, portraits of wildlife in natural habitat, plant life, natural landscapes, or people interacting with nature. 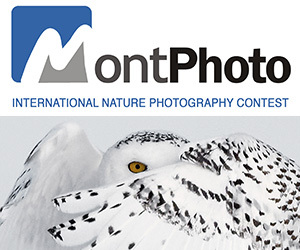 Winners will appear in National Wildlife magazine alongside the world’s top nature photographers ELIGIBILITY: All photographers worldwide / 13+ Not eligible to enter? - Find contest where you are. publications by NWF and other organizations, exhibitions, a photo contest calendar, a compilation book or electronic collection of photographs, online photo features and contests, social media platforms, web pages and emails providing NWPC information, updates, rules and photography tips. 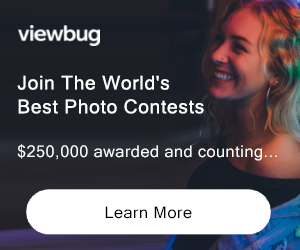 Entrants also agree to the use of their entered photos in the magazine’s online Photo of theWeek and Caption Contest features. If entrants opt in to share their photos, entrants agree to have their first name and last initial visible with their images online, along with the subject, location and story.